Cat Losing Hair and Weight – What Does It Mean? As a responsible cat guardian, we do our best to take our feline buddies to the vet for an annual check-up and vaccination. On most days, our concerns are cat food, exercise, litter clean-up, and shedding. When you start asking “why is my cat’s hair falling out and losing weight?,” several symptoms are already present. Our feline buddies are often discreet whenever they feel unwell. Some reasons for a cat losing hair and weight such as changes in food, routine, and environment need attention, but should not cause worry. Weight and hair loss can also be signs of illnesses that your cat is trying to hide such as organ failure, infections, chronic disease, and cancer. Your cat’s schedule, grooming, and emotions are just as important as making sure she likes her cat food, and that the cat litter is far enough from where she eats. Be ready with your cat’s medical history anytime you need to see the vet, and monitor any symptoms all the time. What Causes a Cat to Lose Hair and Weight? When your feline buddy loses hair and weight at the same time, a diagnosis made by a vet is a must. Your vet will first check for infections, fleas, and possible allergies. If you have problems with your cat losing weight and hair but eating, certain diagnostic examinations may be necessary to rule out cancer, chronic conditions, organ failure, hormonal imbalance, and nervous disorders. An old cat losing hair and weight is more prone to health conditions that affect the overall appearance. Cats shed every day, but when you notice more hair loss or the presence of scabs, blisters, bumps, red skin, bruising, open sores, darkened patches, bald patches, foul odours, cysts, abnormal behavior, and excessive grooming, your cat could be suffering from alopecia. When hair loss is present at birth or soon after, it can be a congenital disability caused by complications in the womb. Some cats, such as Sphynx cats, have hereditary alopecia and never grow hair. Hair loss on the exterior of the ear pinnae or pineal alopecia is normal among Siamese cats and often resolves without treatment. Older cats can also experience normal hair loss between the eyes and ears — which are also known as preauricular alopecia. Acquired alopecia can be partial or symmetrical (pattern baldness). In most cases, hair regrowth is possible after the underlying condition is resolved. Many potential factors could cause cat alopecia, and some can be life-threatening. Cats can lose weight whenever they have an aversion to a new food. More opportunities for physical activities can also promote weight loss. When weight loss is accompanied by hair loss, diarrhea, vomiting, jaundice, lethargy, difficulty in breathing, changes in behavior, increased thirst, excessive drooling, and pus discharge, your cat could have loss of appetite or chronic diseases, which naturally, are at the root of weight loss. Rapid weight loss of more than 10% of your cat’s body weight especially when you’re not trying to get your cat to lose weight is a red flag to see the doctor. Avoiding food for 24 hours or as little as 12 hours for kittens can be detrimental to your cat’s health. When a cat stops eating, this could lead to feline hepatic lipidosis, a fatal condition caused by liver failure. Dental problems – A toothache can cause your cat to eat less than usual or be particular with food selection. Organ failure – Malfunction of organs such as the gallbladder and pancreatic disease can also cause cats to lose weight fast. Cats that refuse to eat are also at risk of getting fatty liver disease. Chronic disease – Inflammatory bowel disease causes anorexia, loss of appetite, and weight loss. Cats with Type 1 diabetes may have an excessive appetite but still lose weight. 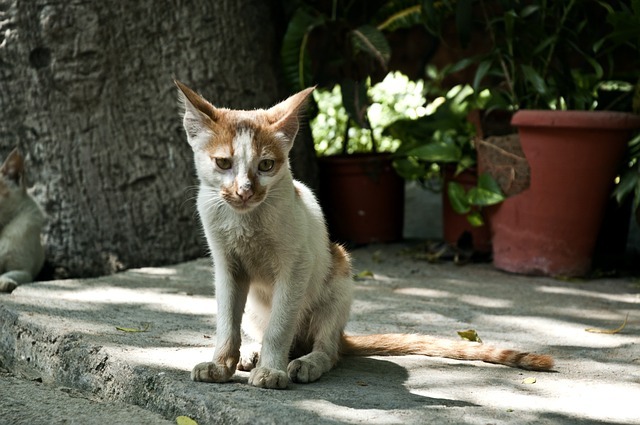 Allergic reactions – Cats can have allergies to food, medication, pollen, dust, mold, and carpet deodorizers. Infections – Parasitic, fungal, and bacterial infections can result in weight and hair loss in cats. Hypersensitivity to anti-agents in flea saliva can cause over-grooming. Mites and ringworms can also cause bald patches in the affected areas. Nervous disorders – Nerve damage underneath the skin and anxiety due to stress can lead to over-grooming. Cats that have anorexia should be diagnosed and treated as soon as possible. Hyperthyroidism – An overactive thyroid is a sign of a non-cancerous tumor in the thyroid gland. Cats 13 years and older are prone to hyperthyroidism — an increased level of steroids causing hair follicles to die. While cats with hyperthyroidism tend to eat more, they can still lose a lot of weight fast. Nutritional deficiencies – When you switch to a cheaper brand of cat food with lower nutritional value, your cat can be deprived of necessary nutrients. Cats deprived of nutrients like vitamin C can suffer hair and weight loss. Feline paraneoplastic alopecia – This rare type of cancer in cats is due to internal tumors and pancreatic cancer, which can cause hair to thin out. Stress – Your cat can be depressed or have difficulty adjusting to the loss of a pet, traveling, moving to a new home, hospitalization, or the changes caused by a new pet or a new baby in the family. Vaccination side effects – After vaccination, the affected area can be itchy, causing your cat to lick it to relieve discomfort, licking hair off in the process. Weight loss is also another side effect of vaccination as cats can also feel unwell and lose appetite following the injection. Feline infectious peritonitis (Cat FIP) – This rare and fatal abnormal response to feline coronavirus can cause intermittent loss of appetite resulting in weight loss and rough hair. Poisoning – Even picky eaters can be at risk of toxic hazards that can be inhaled, ingested while grooming, oral ingestion of poisonous plants, prey, household cleaners, and insecticides. Poisoning can quickly lead to weight loss from kidney failure and liver failure, among others. Skin contact with household hazards can also lead to hair loss due to itchiness and over-grooming. Our feline buddies can keep mum through pain and discomfort, but hair and weight loss can warn us of infections, allergies, or chronic diseases that they may be hiding. During diagnosis, your cat may need to undergo X-rays, biopsies, CBC, urinalyses, faecal sample tests, and ultrasounds. Treatment for cat alopecia can be in the form of an antihistamine, antidepressant, topical treatments, and other treatments targeted at the underlying condition. For cat cachexia or severe weight loss, fluid therapy, feeding tubes, and hospitalization may be required. If you enjoyed reading this post, maybe you’d like to check out the list of signs that your cat is constipated that I put together.